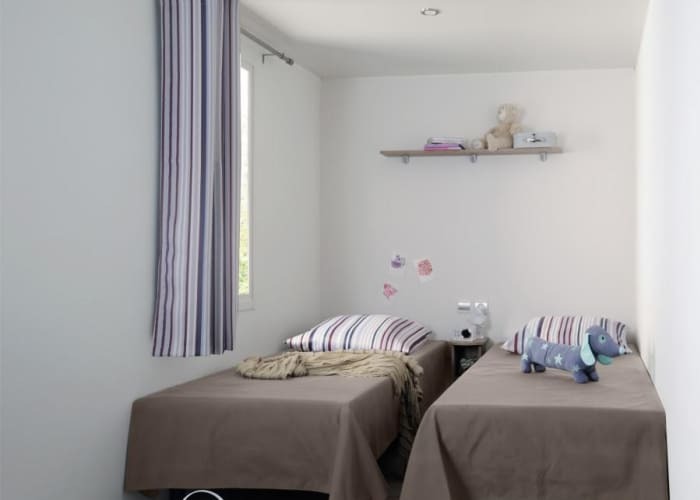 With amazing facilities for families with young children, The Happy Camp Butterfly Village provides all you need to spend some quality time in the sun with the little ones. 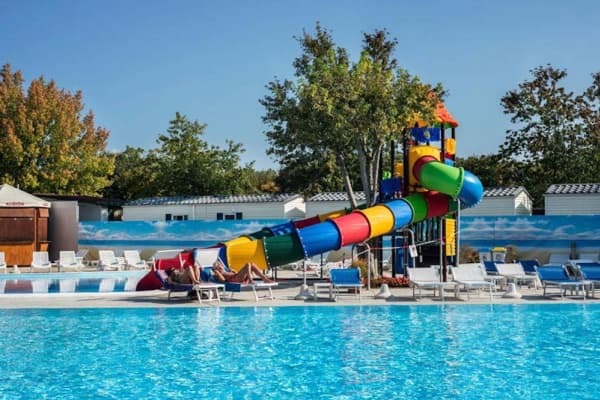 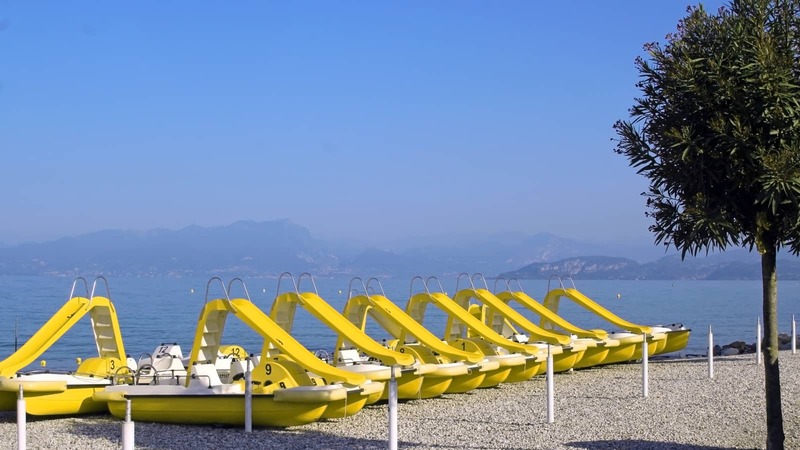 In this picturesque location, surrounded by lakeside parkland, there are two swimming pools, including a great kids pool complete with water slides. 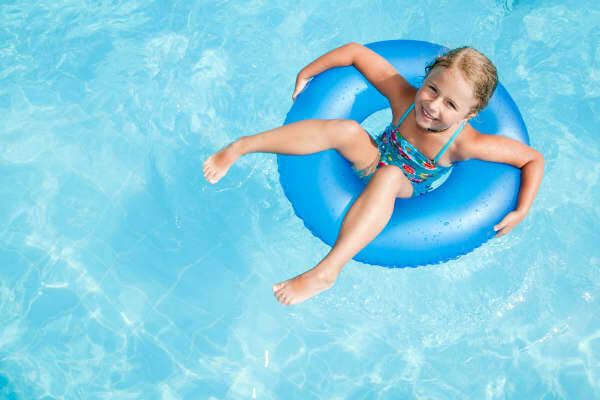 Regular swimming pool games for the kids to get involved with, as well as sporting activities and evening shows, means that the whole family will be entertained. 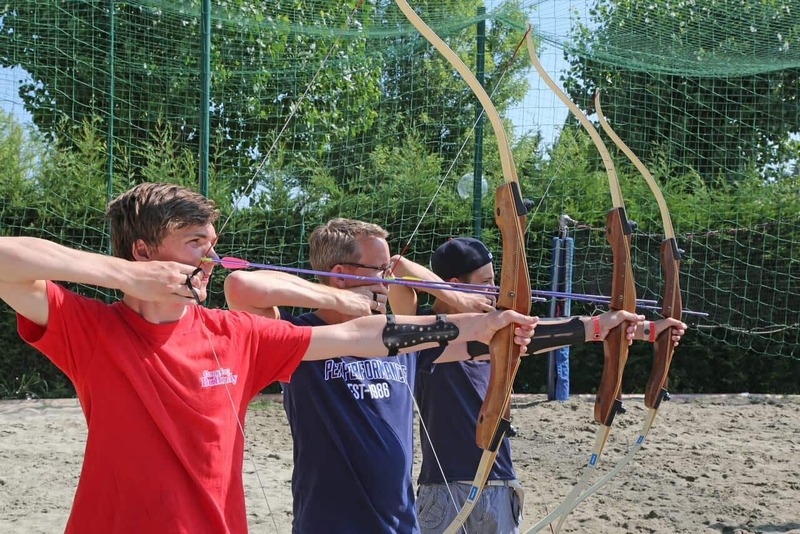 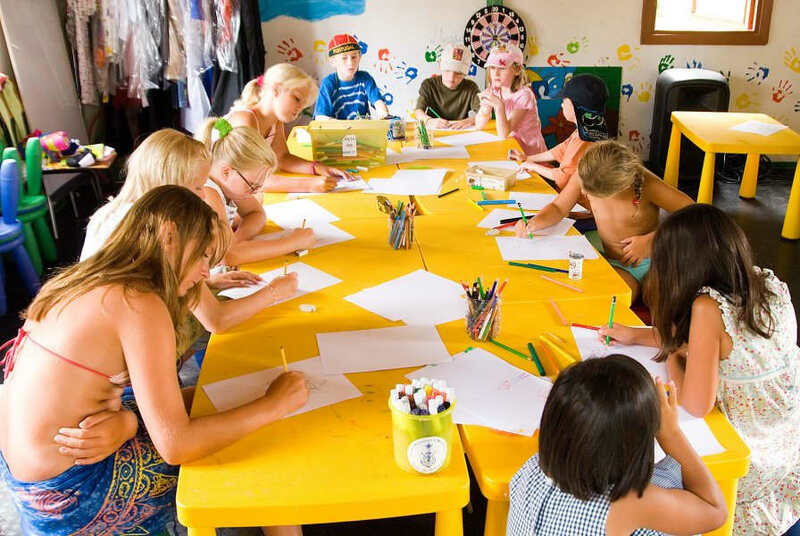 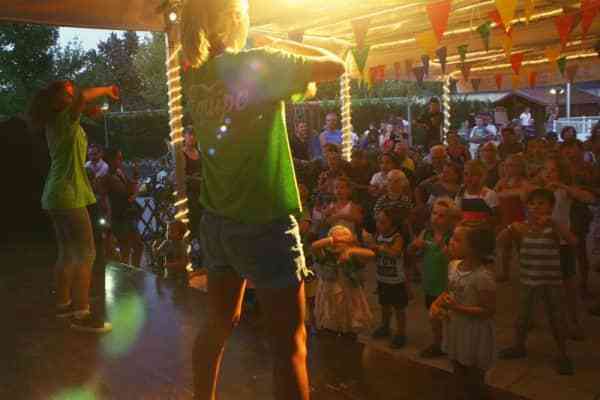 There is a fun and exciting mini-club with both daytime and evening activities for children, available from mid June until the beginning of September. 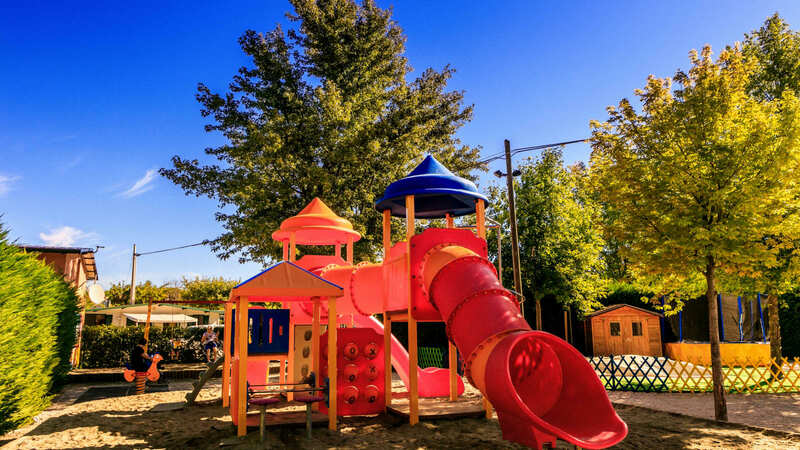 Kids can get involved in 5-aside football, beach volleyball, table tennis and a list of other activities that are sure to keep them amused for hours and having the time of their lives. 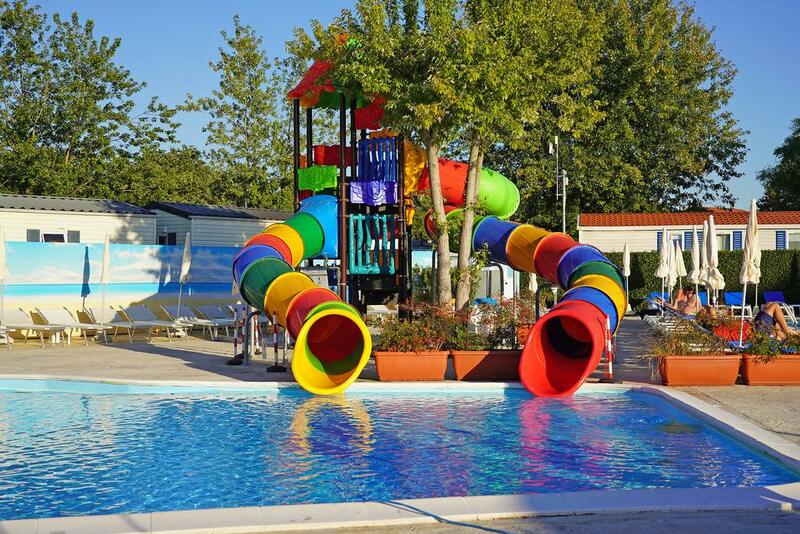 Also available, at an extra cost, you can hire bikes, canoes, pedalos and boats for something different to ensure your days are full of family fun and adventure. 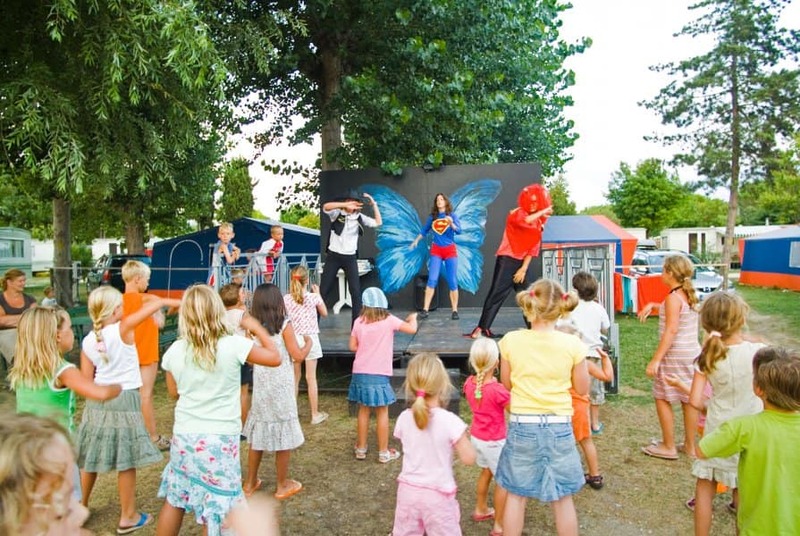 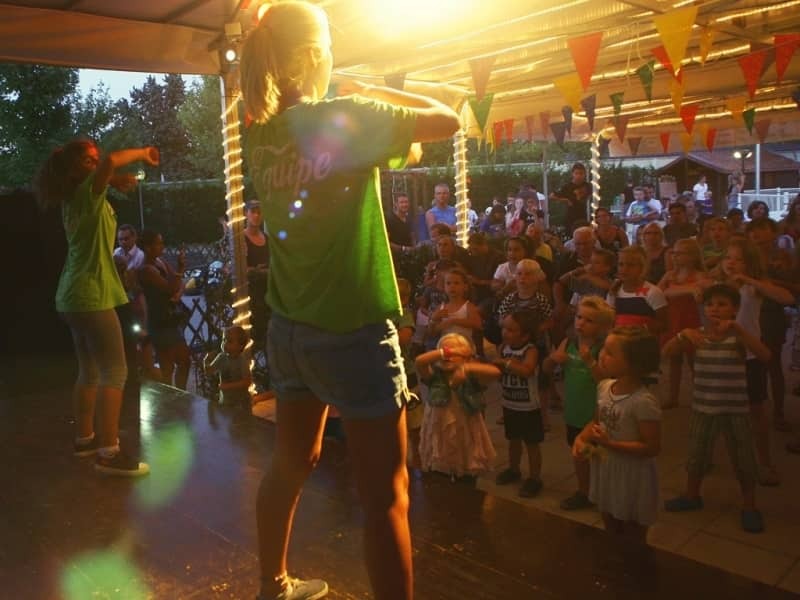 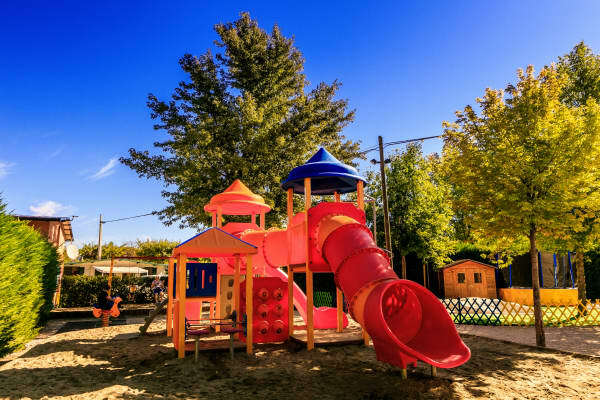 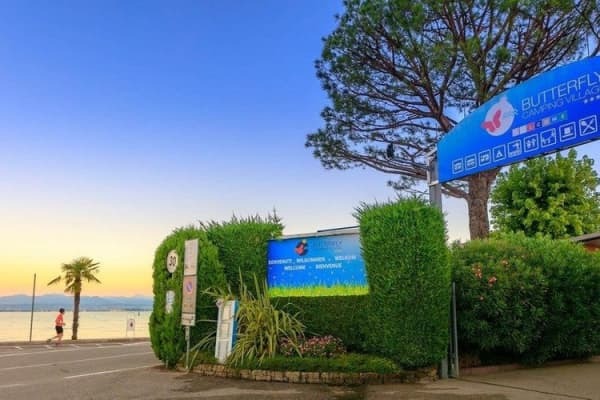 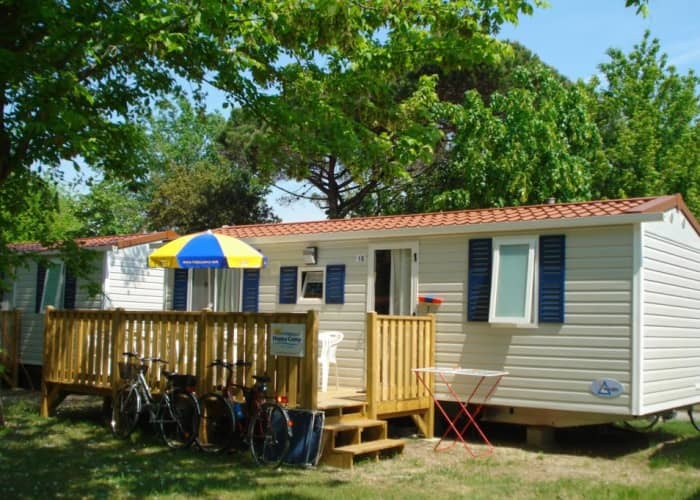 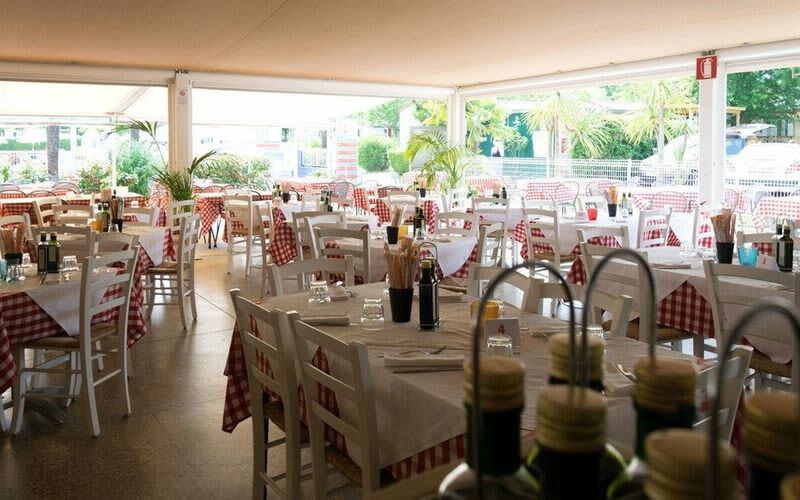 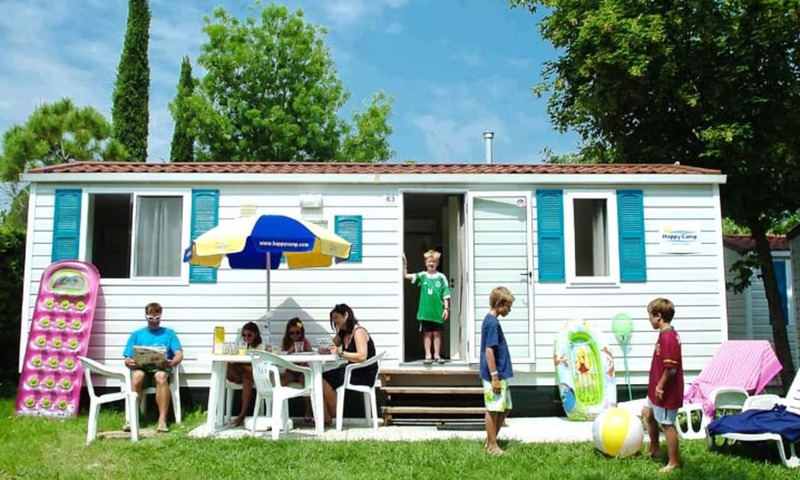 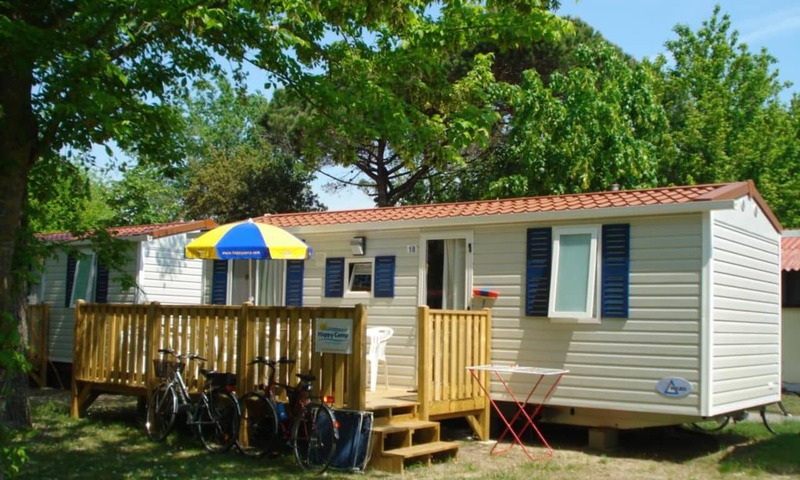 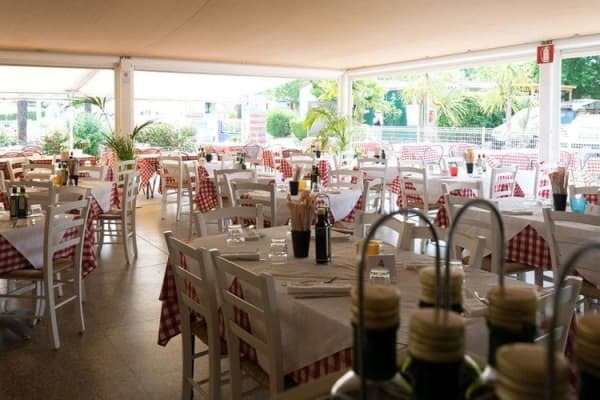 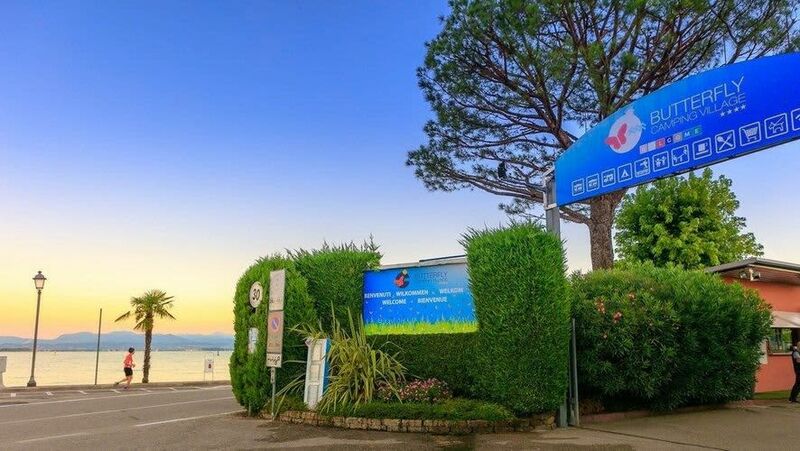 The campsite has a restaurant, bar, pizzeria and take away on site for your family’s convenience, as well as a mini market, a newsagents and a souvenir shop. 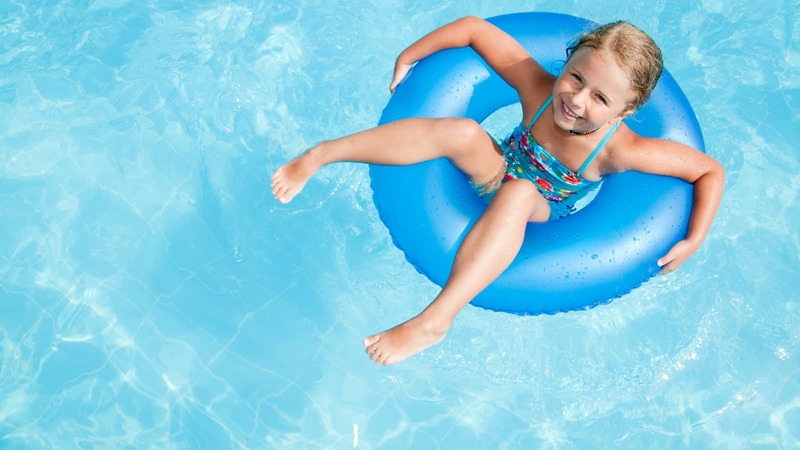 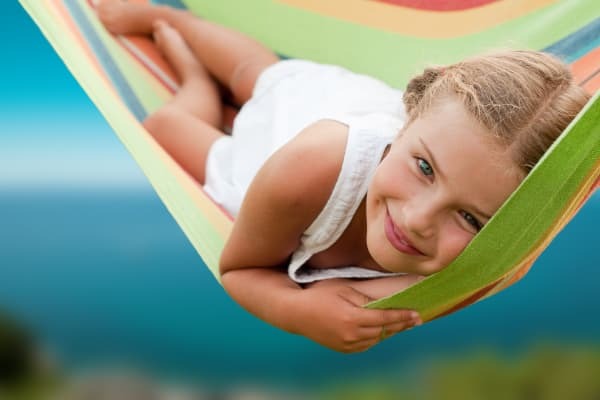 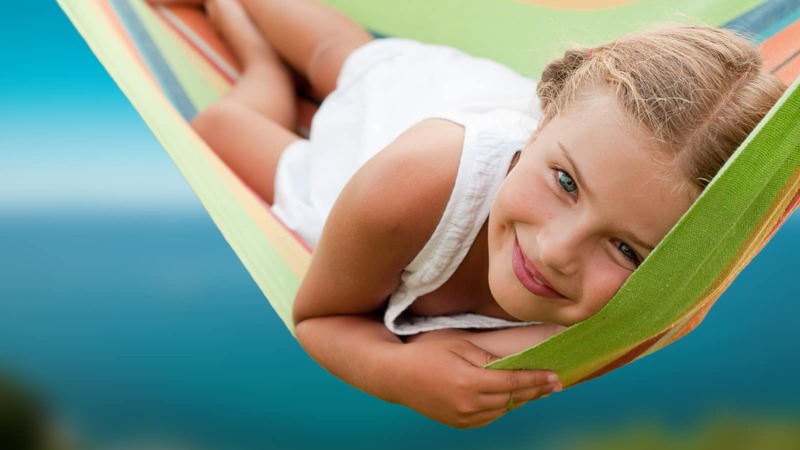 You don’t have to venture too far to ensure that you have all the essentials for a hassle-free and fun family holiday. The Butterfly Camping Village is really conveniently located too. 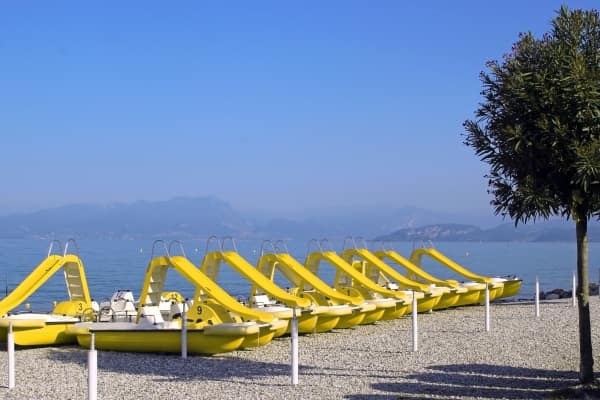 Exploring the area is easy and we definitely recommend it, with Lake Garda offering so much to explore for all ages. 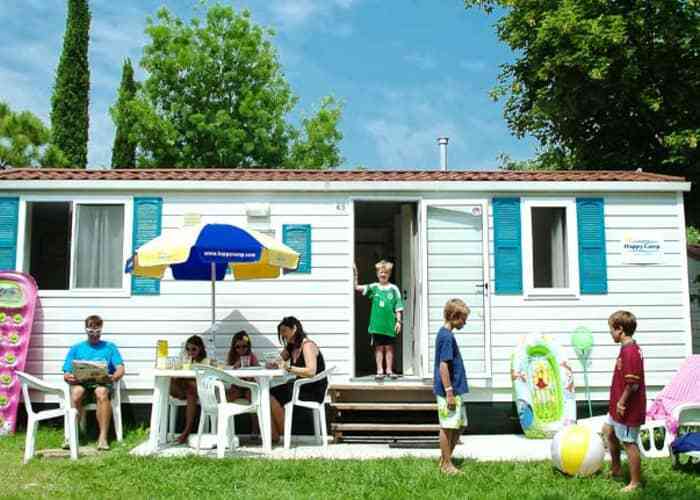 There is a shingle beach located just 100m away so to spend a day on the beach with the family needn’t be a hassle. 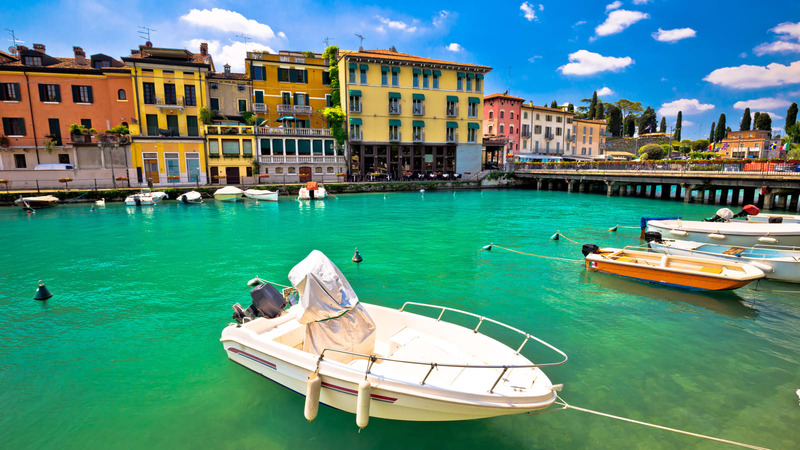 The town centre of Peschiera is close too, within easy walking distance, where you can find a good range of restaurants, cafés and shops and perusing the area and taking a break for some food, drinks or ice creams, is a perfect way to spend your evenings after a day in the sun. The resort is well placed for visiting the highly popular Gardaland as well as Canevaworld and other local attractions too. 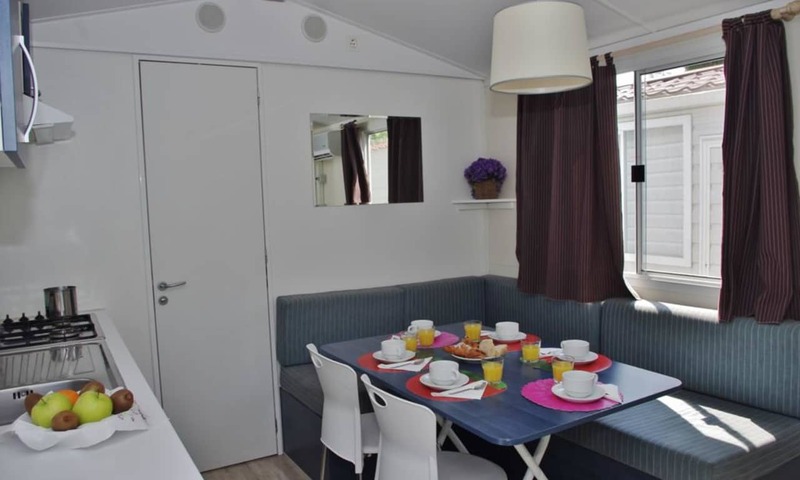 The newest in the range of Happy Camp Mobile Homes, the Happy Camp premium come with a modern design and sleep up to 7 people. 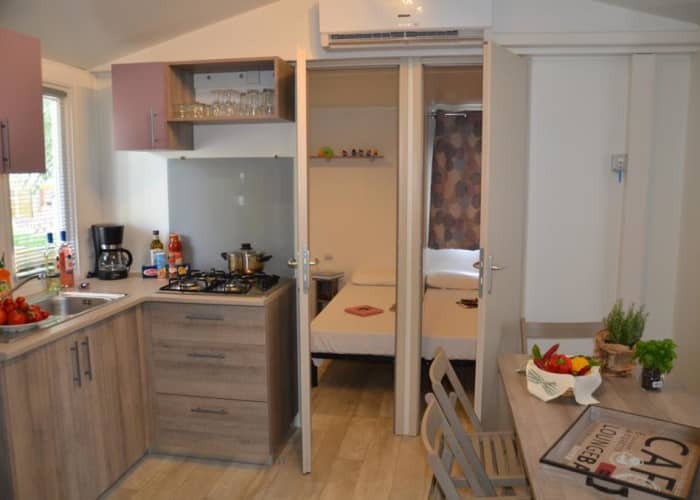 The have three bedrooms, one double and two twin and there is a living, dining and kitchen area. 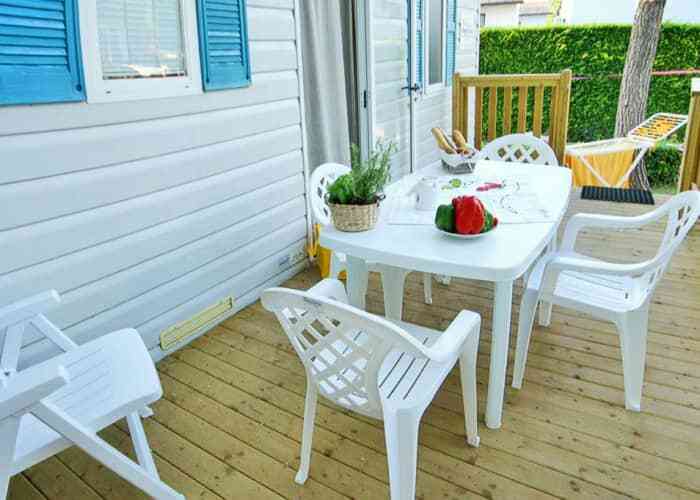 There is also a partially covered terrace outside, complete with garden furniture. 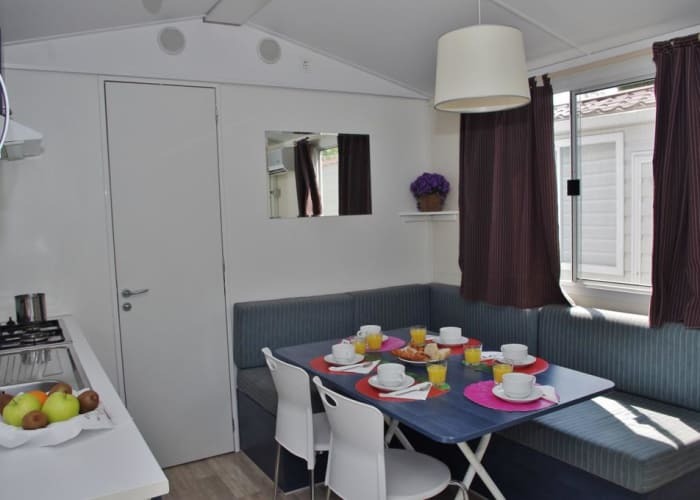 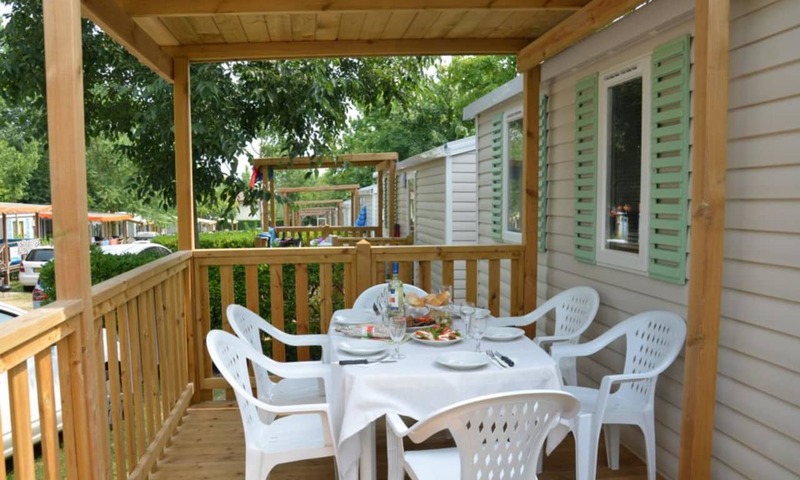 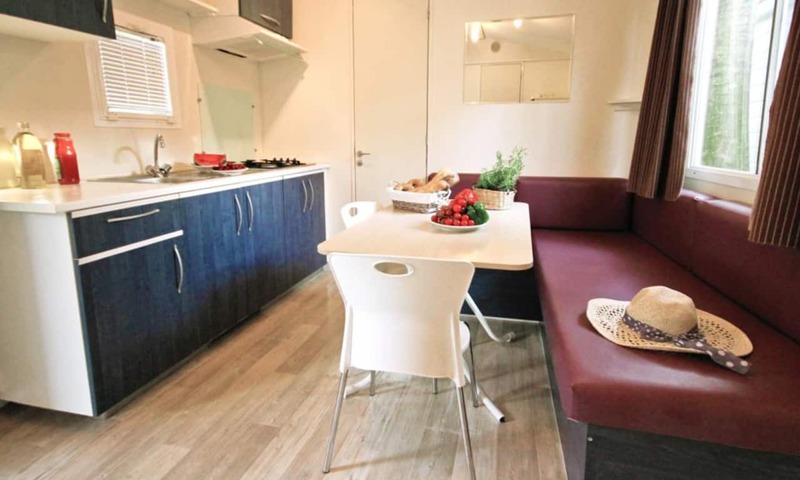 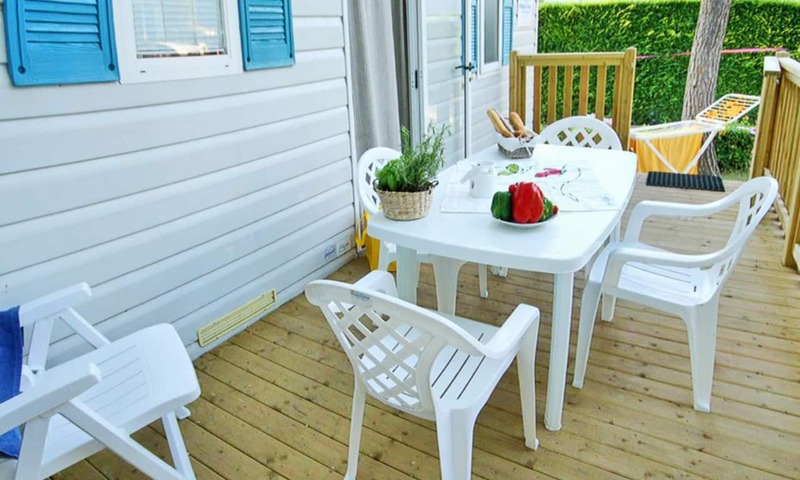 Sleeping up to 6 people, the Happy Standard Mobile Home has one double bedroom and a second bedroom with two single beds and a smaller drop-down bed suitable for smaller children only. 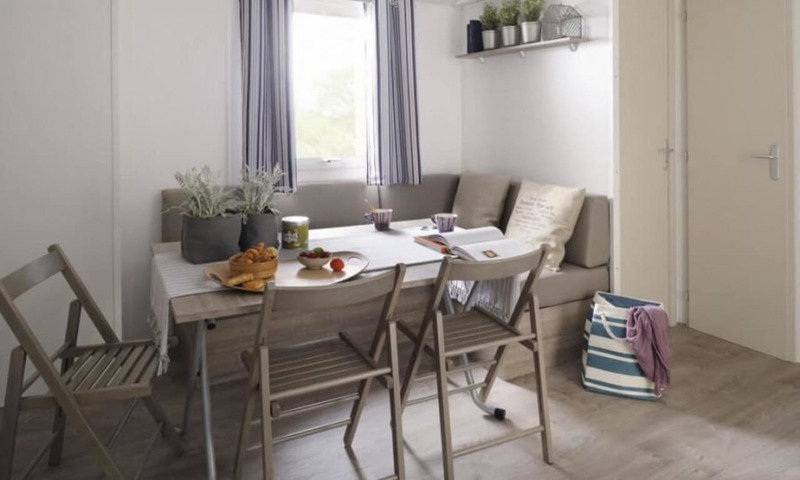 The seating area can be used as an additional bed for one, if required. 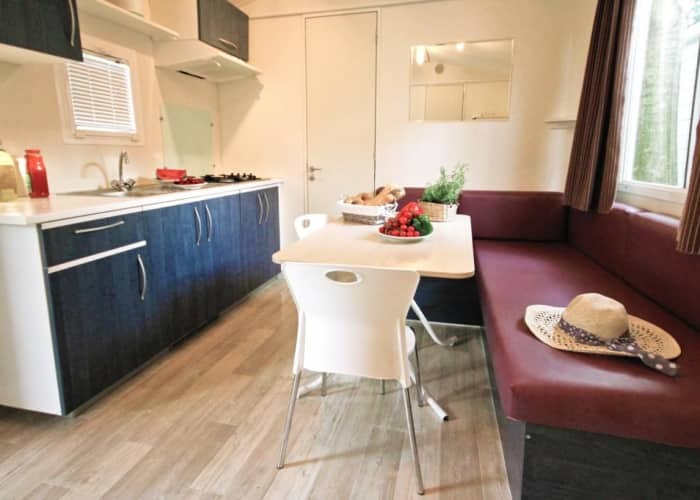 The kitchen is well equipped with a small fridge with chiller compartment, a hob with 4 burners and tableware for 6 people. 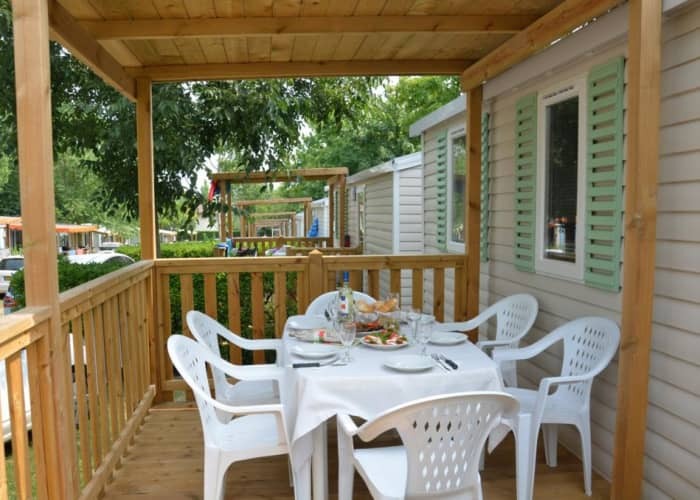 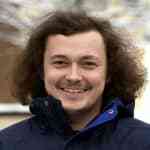 There is also garden furniture including a table, chairs, 2 sun-beds and a barbecue, should you choose to dine al fresco. 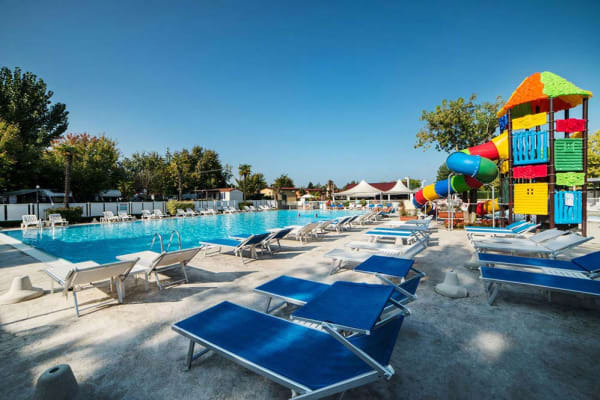 • Towels can be hired locally at EUR8 per person. 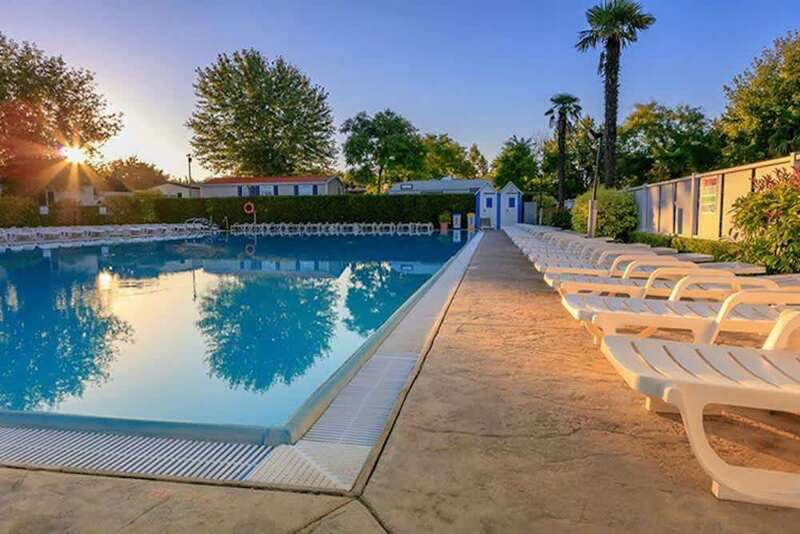 100m from a shingle beach in Peschiera, within easy walking distance (500m) of Peschiera town centre.